I like to think that I’m a neat person generally, but when it comes to my kitchen – home is where the food is! – I’m an absolute stickler for keeping things organised. And why not? An organised kitchen means a more efficient way to get the delicious food into your belly, and a reduction in food waste that means more dollars in your pocket! 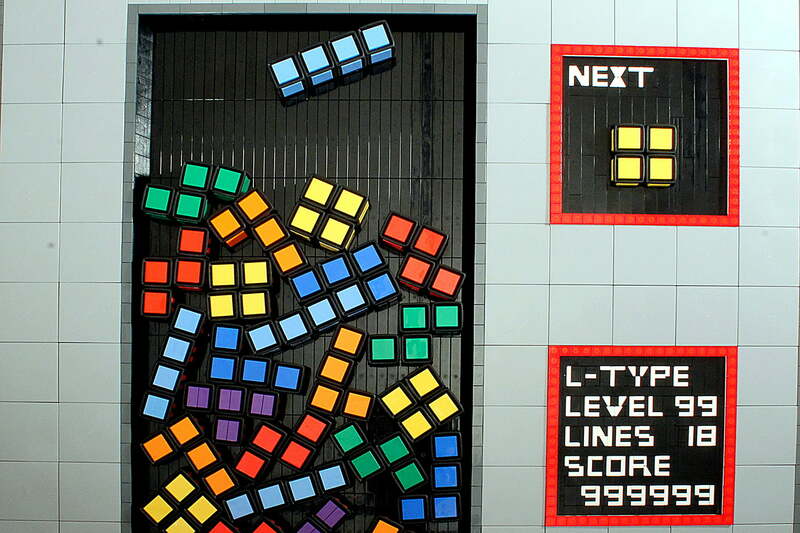 So, anyone else a fan of Tetris? You know that teaspoon of capers that has been sitting in the bottom of that jar for ages? Well eat it, or chuck it – you need that space. I really hate food waste, but having your fridge and pantry cleared out so that you can keep track of your food is a great way to reduce food waste in the long run. Have you ever played so much Tetris that you start looking at buildings and trees along the street wondering what pieces would fit? No? Well, I have, and it really gets me in the mood to sort out my food store. It really gets me into that game frame of mind to fit things into my cupboards – you’ll be amazed how much space you can free up once you get into tetris-ing that pantry! Sometimes the reason why you keep buying box after box of cocoa powder is because you’ve got three half-used packets sitting in three different spots in your kitchen. For long life dry goods, I find that it’s a great idea to condense it all into a single container, and not buy more till I’ve finished it all. One of the cardinal rules of a commercial kitchen should be a cardinal rule in any kitchen: First in, first out. 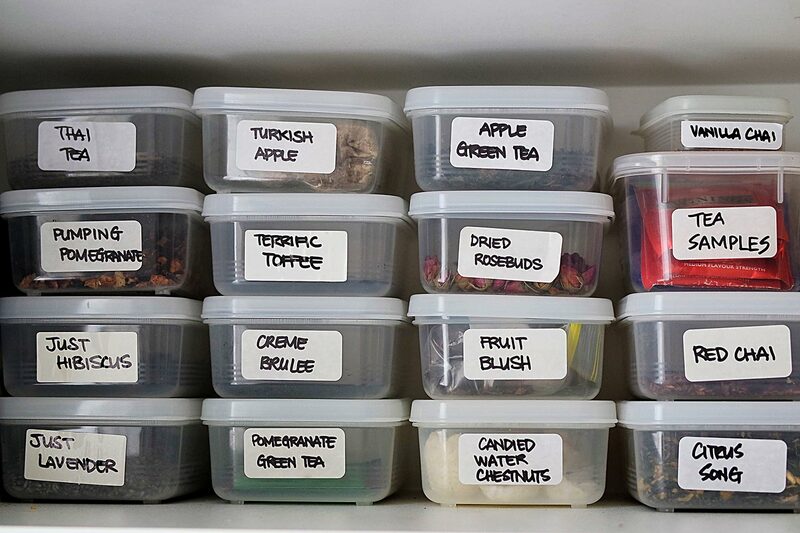 Keeping your food stock on rotation means you’ll never be halfway through a jar of pickles while another opened jar in the back goes mouldy, and nothing gets lost in narnia the back of your cupboards with the left sock you thought your dryer ate. No, really. There shouldn’t be socks in your pantry. If space is at a premium, then vertical space is like your gift with purchase. Ideally, you’d be able increase the number of shelves in your cupboards, but if extra shelving isn’t an option, stacking is a great solution to utilise that vertical space. Just make sure that whatever containers you use can stack stably and comfortably – there’s nothing worse than opening a kitchen cupboard and having heavy boxes of food items fall out onto you. A mystery box challenge requires you to use whatever surprise ingredients in the box, and every week, I set myself a not-so-Mystery-Box challenge with whatever perishables I have left in my fridge. And no matter how well I planned my meals for the week, there are always leftover perishables. Making myself use it all before buying more food gets the creative juices flowing, and gives me a clean slate to work with everytime I do the shopping. 2. They use containers from the same system. 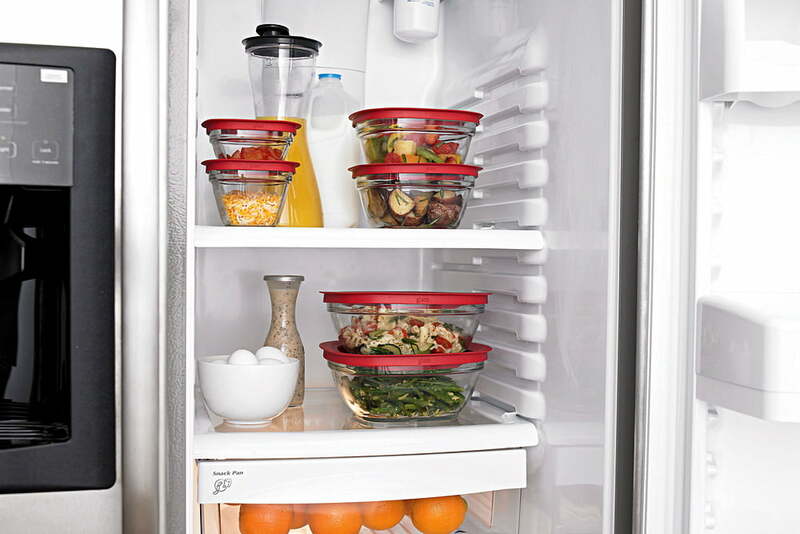 Usually, boxes from the same system are designed to work together, which means that you can stack, store, and play all tetris you want with your assortment of Tupperware. Most food storage systems work on a ratio, which means that it gives you the reassurance that with the right tetris skills, your cupboard can, too, look like a pretty stack of food-filled jenga pieces. If you like collecting across systems, that’s okay too, but make sure that they have a similar base size so that you can stack it comfortably. I am a big fan of square or rectangular systems, too. Those mason jars might look pretty on the shelf, but you are losing so much space where there could have been corners. What are some of the ways you organize your kitchen? I would love to hear some of your tips and tricks in the comments down below! I love these tips! You know what.. I am such an organised pantry and yet if you looked at my pantry you wouldnt think so! I definitely need to take up some of these tips… especially the tetris one lol! There’s always a method to the madness! On some days my pantry looks shocking too, especially after a crazy week. But I take some sort of perverse pleasure in taking it all out and reorganising it again, so it’s really never a bad thing! I hate wasting food too, but I also hate a cluttered kitchen. Mind you 99% of the time it is cluttered until it gets to that point where I just have a major sort through. I must be more organised with it tho, as I hate the clutter! I absolutely need to be culling my fridge – so much random stuff in various jars just taking up space.